This easy quilt is made by creating one log cabin style block in 2 different color ways. 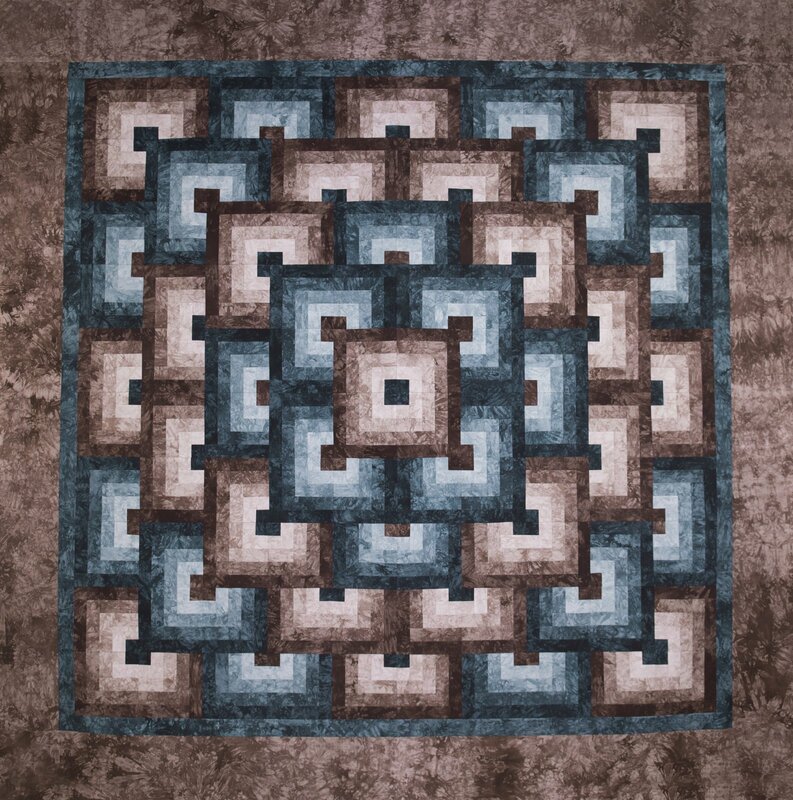 If you would like to create your own unique design, choose 2 different dark colors from our yardage and order either 1/2 yard each for the throw size, or 1 1/2 yard each for the Queen size. In the comment section of your order, request additional yardage in graduated shades for the Illusions quilt and we will dye the necessary 4 step graduations shown in the amounts from the pattern cover shown above. If creating your own kit, the pattern would be included, no need to order an additional copy. If you do create your own unique design, the Throw size would be billed at the time of shipping for $ 95.00. Queen size would be billed for $ 198.00. The pattern can be ordered below or if ordering the kit see the link below under related products.